Without a news crew standing nearby, this death may have gone unnoticed and unrecorded, but through the power of a cell phone, the Internet and YouTube, this tragic event was captured forever. People “on the ground” capture the news with cell phones and broadcast via YouTube. Robert Hernandez, assistant professor at USC Annenberg and co-founder of the popular #wjchat (the Twitter chat for web journalists), knows as well as anyone: the way news is gathered and consumed continues to evolve. In 2010 every news platform saw audience stall or decline… except the web. For the first time ever, more people got their news from the web than newspapers… the gap for TV is closing, too. Newspaper newsrooms are 30% smaller than in 2000. Nearly half of all Americans now get some form of local news on a mobile device. In other countries where mobile penetration is deeper, the number is probably greater. 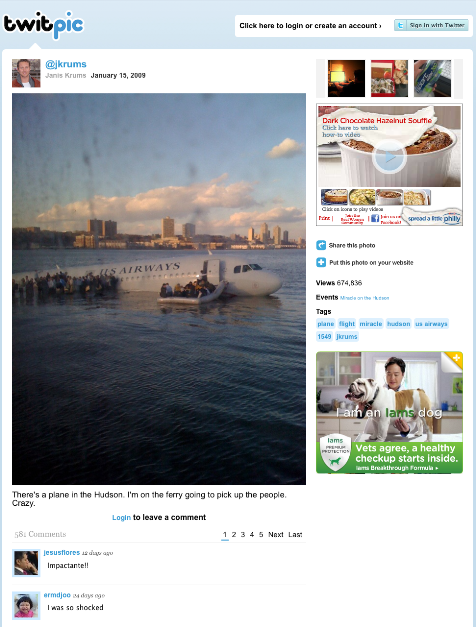 Twitter was first on the scene for the Hudson plane crash. The web has changed everything (again). Anyone with a blog can be a reporter, anyone with a cell phone can be a videographer, and anyone on Facebook, Twitter or a thousand other platforms can be a news editor, or at least a curator. Yet, amidst this turmoil, many journalists are adapting, leveraging new media tools to gather, distribute and reinvent the news cycle, all without losing their journalistic integrity. Even excluding the dramatic nature of Hernandez’s video find, journalists are using social media to discover new stories and uncover sources. 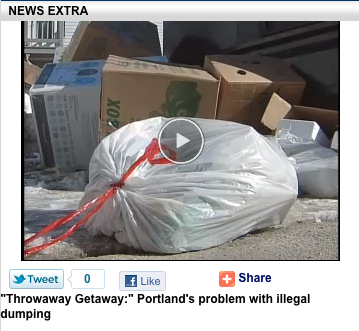 When Anne McNamara, reporter for WGME in Portland, Maine, was reporting on local illegal dumping, she turned to her social media contacts for help and they provided sources and contacts for the story. Journalists use social media to find contacts to help confirm and flesh out news stories. McNamara also finds that while phone calls often go unreturned, when she contacts someone on Facebook, they get back to her within 20 minutes… critical for impending deadlines. McNamara also reports that Twitter and Facebook often help “localize” international stories. Using these popular social media platforms, she was able to find local people with ties to Japan who were waiting to hear from loved ones after the earthquake and tsunami hit. She only needed to post it to the Channel 13 Facebook page to elicit responses. Absolutely, our viewers/website visitors often send up pictures and video from various newsworthy events way before we get a crew on the scene. We also routinely now use these photographs and video in major stories that impact a large part of our coverage area—for example, a snowstorm. We will post these on our website, WRAL.com, and often use them on the air. Hernandez suggests using Twitter for getting sources right away, and even tapping Foursquare as a way of finding eyewitnesses. If you find a source on Twitter, he says, they’re more likely to talk with you. 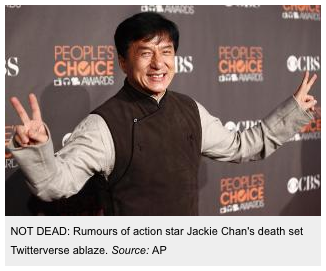 But “just because they’re tweeting it doesn’t mean it’s real,” he warns. Reporters who are on the wrong side of this “social divide” may find themselves unable to reach the sources who help make compelling news stories. Kara Matuszewski, web producer for CBSBoston.com, reports that social media is “where we go; it’s what we turn to.” When reporting a story, she often turns to memorial pages, like the type found on Facebook and MySpace. It’s an effective way of getting information on both the victims and the (alleged) perpetrators. Ellyn Angelotti, faculty member at the well-respected Poynter Institute, says that with social media, journalists often aren’t breaking news, but rather responding to it. But that doesn’t mean that journalists can just sit back and wait for Twitter to feed them inspiration. Rather, they need to be thinking about how social media can affect their reporting before, during and after the story goes live, Angelotti says. Social media has also changed the way journalists and news centers distribute their news. There are few news sources around the world that don’t have a Facebook page or similar social media presence these days. 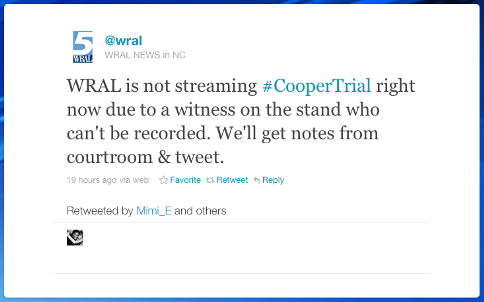 WRAL uses Twitter to tweet live from trials, even when cameras are not allowed in the courtroom. WRAL lets the public follow along on trials of interest by tweeting live from the courtroom. The news cycle has changed, suggests Angelotti. We’ve moved from a passive news cycle—in which the journalist finds news, reports it and the audience consumes it—to interactive applications of news. It used to be that when the story went live, that was the end. Now it’s the beginning. 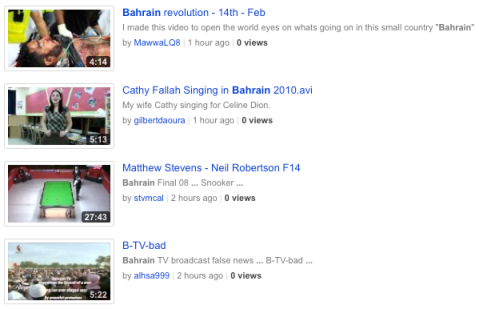 The audience can comment, share, add or even change information. The era of “I write, you read, you’re welcome” is over, suggests Hernandez. You can’t put the genie back in the bottle, he says, and we’re better off for it. One of the biggest changes has come from the ability for the public to comment on news stories once they go live, using tools like Disqus or IntenseDebate. However, journalists seem to have different approaches to handling them. Matuszewski doesn’t respond to comments on CBSBoston.com, but does respond when people reach out to her on Twitter. 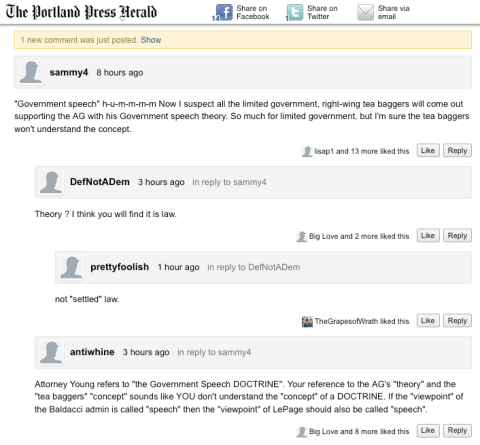 She also says that the site has an open policy on comments, but users can flag comments for removal. McNamara reads and responds to comments “all the time,” but tries to focus on the constructive ones. She also says comments let her gauge what people are really interested in, and let her gain understanding of both sides’ perspectives on certain news stories. Hernandez warns, however, that comments can also have a chilling effect on sources’ willingness to come forward and be quoted. He’s seen plenty of examples of sources getting attacked in the comment section, and says it’s the reporter’s responsibility to tell the interviewee that they may be attacked. Comments can continue the news cycle, but can also have a “chilling effect” on sources’ willingness to come forward. When Angelotti was in South Africa recently, she was struck by the low number of people who own laptops—even reporters. Cell phone use, however, was widespread. This is how news travels in Africa today. She also suggests that mobile helps bridge the digital divide worldwide, that there is mobile adoption regardless of income. That seems to be borne out in the Pew Research study that states not only do nearly half of all Americans get some sort of local news via a mobile device, but that as of January, 2011, 7% of Americans owned a tablet—double from only 4 months previous. And that was, of course, before the release of the iPad 2 and a slew of new tablets from other companies. Because of this, and her role as web producer, Matuszewski eschews Flash for news, as it plays on so few mobile devices. As with any disrupting technologies, social media is having both positive and negative impacts on journalists and journalism. Lamb says the biggest positive is the ability to move information quickly among a large group of people; however, the downside is you can just as easily pass misinformation. McNamara praises the immediacy of social media. News centers always want to report news live, and social media offers that. However, she also cautions that reporters have been fired after years of responsible reporting for a poorly constructed 140-character tweet. Time and time again, reporters stress the importance of keeping journalistic integrity in the face of the real-time social media onslaught and the 24/7 news cycle, where journalists need to compete with average citizens for breaking news. Hernandez posits that the role of the journalist is to “check out,” not just to “spread out” information. The responsibility of the journalist on social media is higher than the average citizen’s. He also tells journalists that not everything is on Twitter. “I tell reporters that if they’re not on Twitter, they’re lazy. And if they’re only on Twitter, they’re lazy.” Angelotti concurs. She reminds journalists who see social media as “the answer” that there are still journalistic values that they must uphold no matter the channel. This may be a different type of story than you’re used to seeing in Social Media Examiner, so I ask you: How have your news-consumption habits changed in the past few years due to social media and mobile communications? Do you find news sources more or less trustworthy when delivered over your favorite social media platform? Has something you’ve posted online ever been picked up by your local news? And where do you see the future of journalism heading as social media evolves? What do you think? Have you been a social media source for a story? Are you a journalist? Leave your questions and comments in the box below. Rich is president of flyte new media and runs The Agents of Change, a weekly podcast and annual conference on building your business through search, social, and mobile marketing.